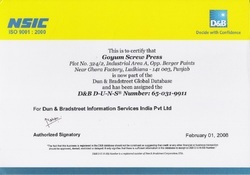 Goyum Screw Press is committed to follow the laid-down norms for environmental and quality management systems as per the international standards and legislative requirements to ensure highest satisfaction for our stockholders and society at large. At our facilities, necessary training is regularly provided to conserve resources, defects and wastage and continually improve processes in line with the requirements of ISO 9001: 2008 and ISO 14001: 2004. We also abate costs by conserving expenditure on the resources. We understand our responsibility towards environment. 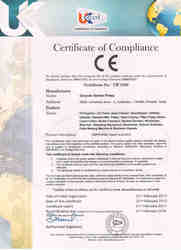 ISO 9001: 2008 certification is a step towards healthy environment practices. We understand our responsibility towards environment. 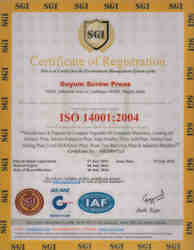 ISO 14001: 2004 certification is a step towards healthy environment practices. 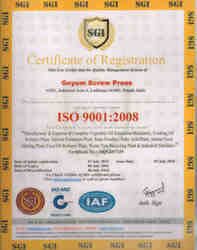 Goyum has been awarded Star Export House Status by the Govt. 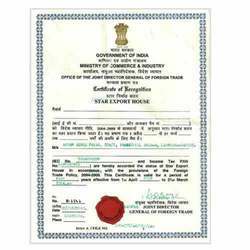 of India, Ministry of Commerce and Industry through the office of joint Director General of Foreign Trade ( DGFT) keeping in view excellent export performance during the past few years.